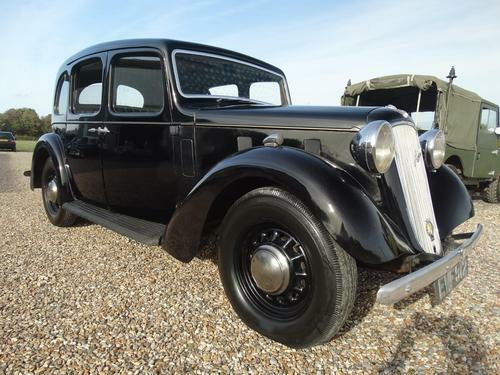 Currently available at Hares Of Sussex a Petrol, 1.0L engine and Manuial transmission. On the market in the tone of White with 63193 miles clocked up on the dash. You could buy this particular motor through Hares Of Sussex in Littlehampton. Call or visit them to organise a viewing. Are you looking for a Austin? Consider this second hand one with only 40000 mi on the dash. Email Gravel Hill Car Sales to get more info about test-driving this motor. 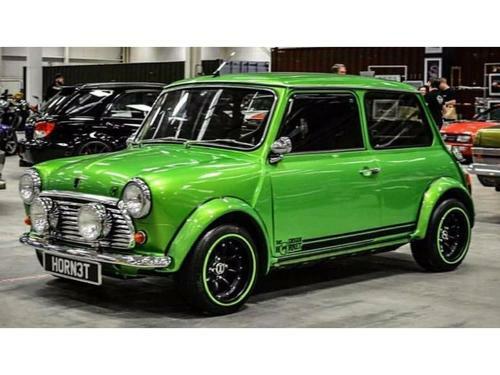 Now available for sale is this Green 3 door, vehicle fitted with a Manual transmission and 3.0 ltr Petrol engine. In addition, this vehicle from M H Car Sales Oxford Ltd in Woodstock also comes with a tracked, full service history. 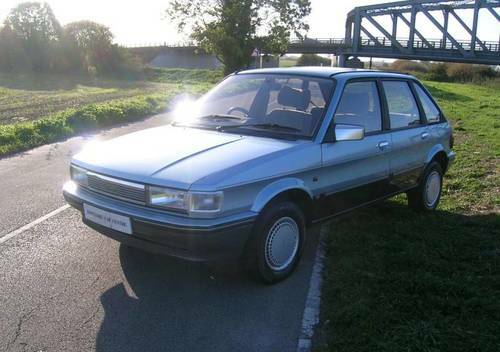 Grab the chance today to purchase this Vauxhall Petrol. Available to drive away for the total of £59,980. At only £7,950 is this 7 containing a 858 CC Petrol motor with Manual transmission. This second hand one now in stock at our dealership in Lymington comes finished in Red and has 92000 miles clocked-up on the dash. 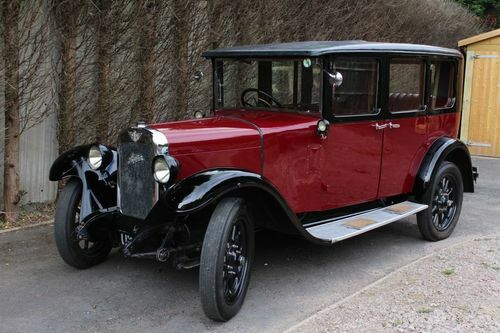 For a closer look at this Saloon Austin 7, just contact the friendly customer support team at M & M Automotive and find out what else this car has to offer. Now available on the market is this 4 door Saloon, containing Manual transmission and a Petrol, 1479 CC engine. Get it from M & M Automotive in Lymington for the remarkable price of only £9,750. 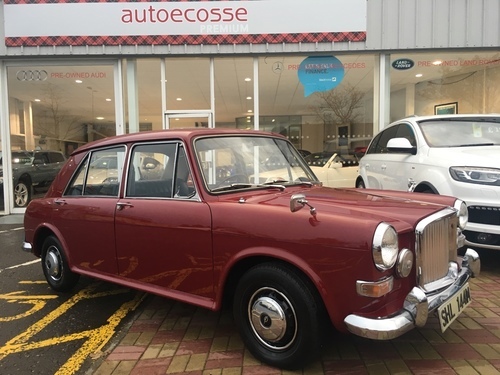 As expected of a model in this class, this Austin comes ready with a substantial number of extra features and specifications to enhance your driving experience. It can be yours to drive away in no time, just get in contact with the knowledgeable customer support office at M & M Automotive. Now offered by our dealership, for the fantastic price of £18,950 is this low mileage motor containing a 1.9 LTR Petrol engine and just few miles on the clock. Contact the informative sales team at Smallbone And Son to arrange a test drive. 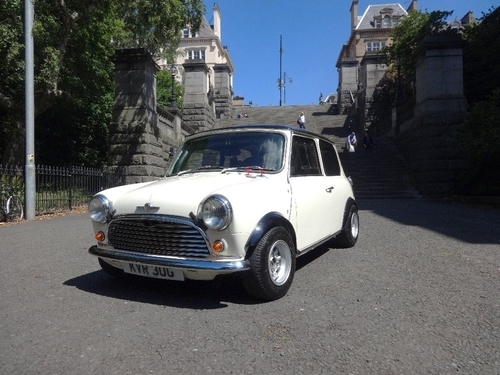 Become the next owner of this Austin fitted out with a 998cc Petrol motor and Manual transmission. 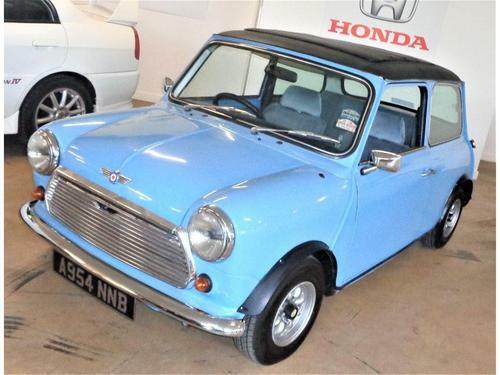 This second-hand one is for sale at the fabulous price of £7,495, has 56968 miles on the dash and is finished in the shade of BLUE. The sales department is ready to provide assistance in helping you to find out which instalment options are most suited to you. Contact Edwin Ferneyhough Vehicle Sales Rugeley located in the Rugeley area get more information. This 2 door motor equips you with a Petrol 1.0 litre engine, Automatic transmission and 61000 miles clocked-up on the dashboard. 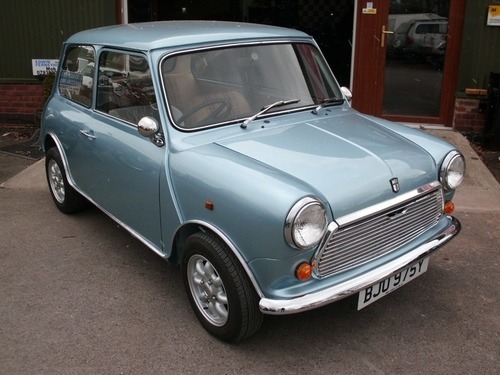 This particular MINI 1275 MANUAL comes in Black. To find out what more this car dealer has to offer, call or visit their sales dept for a more in-depth chat. Manageable repayments start off at £161.49 pm. Become the new owner of this used car that has Manual transmission and a 1.6 L Petrol engine. This second-hand model comes finished in Blue and has 47000 miles on the dash. As you can expect of a high quality car designed by Austin, it provides its driver with a substantial array of extra features and specifications for an improved, more comfortable driving experience. This dealership is located in the Goole area. 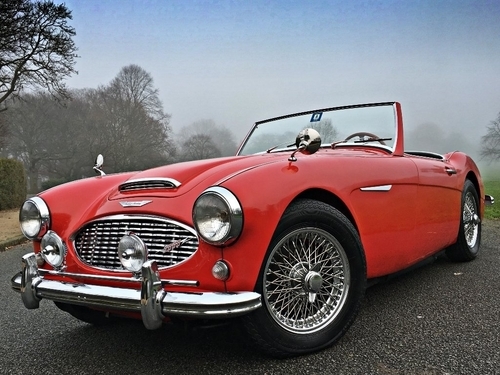 Book a test-drive now and experience what this Austin feels like out on the road. Coming in Blue, this vehicle incorporates a Manual transmission, 1.3 LTR engine and it has 90000 miles clocked up on the dash. 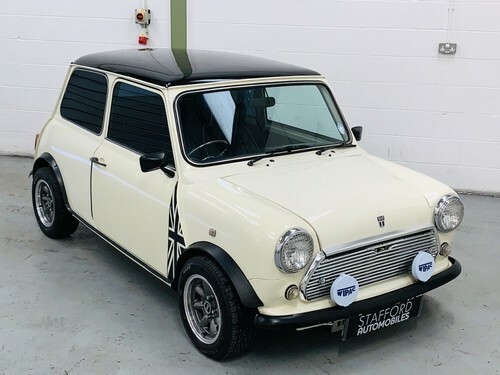 With this car dealership's superb credit deals starting at only £103.82 per month, you could become the new owner of this Convertible MINI Cabriolet Conversion Cabriolet Conversion. Pick up the phone and speak to the friendly team at Riverside Car Sales in the Castleford area to get a instalment package that's tailored to your needs. Now advertised is this 7 Convertible featuring a 3.0 ltr Petrol engine with Manual transmission. 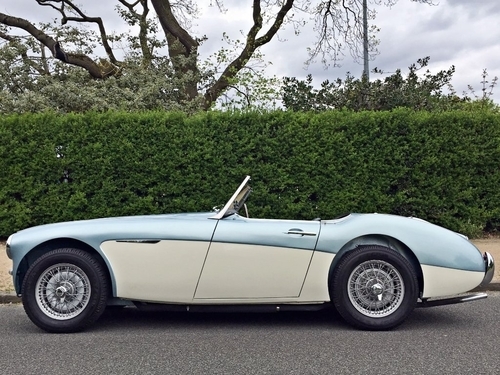 Priced to sell from Classic Cars Of Wirral at the brilliant price of only £49,990. As expected of a car in this class, this 7 Convertible has got a substantial array of extra specifications, further enhancing your driving experience. 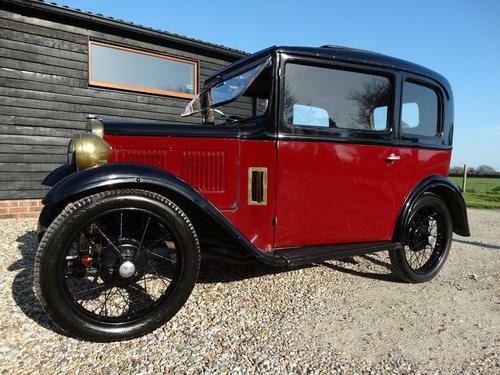 Buying this Austin 7 doesn't have to break the bank, simply email or call the customer care dept to find out what finance plans could be best suited to your budget. Your instalments could start off at only £1153.28 pm. 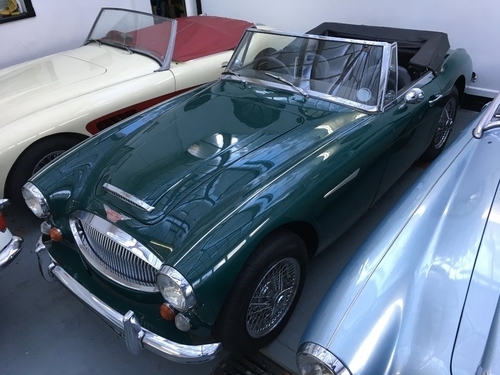 Up for sale and ready for you to take home is this Austin Convertible priced at just £54,999; with the possibility to buy with achievable monthly payments to meet your requirements in purchasing your . It could be yours to enjoy in no time at all. This car comes with a comprehensive range of features and specifications, which include: If you wish to be the next owner of this motor, then simply simply contact the sales department at this dealership. If you wish, you can also choose to spread the cost on finance and utilise the marvellous financing arrangements that are at hand. Your affordable instalments could start off at only £1268.84 pm! Get further info and find one that is tailored to your requirements. At the brilliant price of only £52,000 is this popular, best selling [model] Petrol that is fitted with a 3.0 L Petrol motor and Manual transmission. This second hand one has 62785 miles on the clock and comes with a full service history. Classic Cars Of Wirral is in Birkenhead. 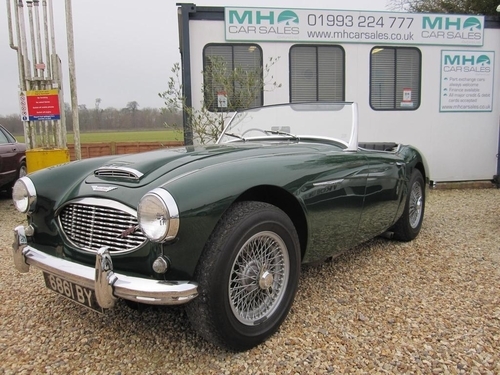 Email or call to arrange a viewing..
Having 59000 miles on the clock and finished in Green, this 2 door motor gives the driver a 1.0l Petrol engine and Manual gears. Simply contact Premier Cars to obtain more info or get down to the dealership to view this MINI City E in Belfast. On offer from our dealership located in Glasgow, for the amazing price of £14,850 is this top 10, best selling MINI that has low mileage. This model comprises of a [engine-size-cc]cc Petrol motor, Manual transmission very few miles clocked-up on the dashboard. Second hand vehicle but, wonderfully maintained which still remains in a superb, like new condition both in and out. If you'd like to know more about purchasing this second hand car, call Scottish Motor Services and view this motor. Seize the chance to own this second hand car now available at this dealer's great price of just £10,995. It has been finished in a shade of Red, has clocked up 18134 miles and has a 1300cc Petrol engine with Manual gearbox. If you would like to make an appointment for a test drive or want a closer look at this vehicle, just visit the qualified sales staff at Autoecosse Ltd.